The tiny netbooks seem to be getting faster and are packing in more power than ever before. NEC has launched its new line of light netbooks called the LaVie Dual Core. These notebooks are HD ready and pack in the new Intel Atom N550 processor that runs at 1.5Ghz clock speed. With two cores to offer the Atom N550 is twice as fast than its predecessors. The NEC LaVie Dual Core HD netbook also has a 10.1 inch LCD screen that can support up to 1366 x 768 pixel resolution. The hard drive size has been doubled from a typical 160 GB to a nice 320 GB and so has the RAM from a typical 1GB to 2GB. The light netbook comes with a 6-cell battery that can run about 10 hours per charge which is really great! Optional features include a SD Card reader which also supports SDXC cards and 4G WiMax card. It comes pre-installed with Microsoft Windows 7 Home premium OS. The light netbook however has a steep price. 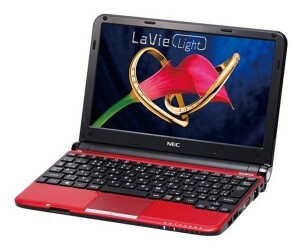 The NEC LaVie Dual Core HD netbook is going to cost $1,010 later in this month on Japan’s market. It is available in three colors – black, white and red. Previous Cell Phones Powered by Your Voice!